Laura Kersten studied history and philosophy at Freie Universität Berlin and at the University of Edinburgh. In 2015 she was granted a doctoral fellowship by the Berlin Graduate School of Ancient Studies. 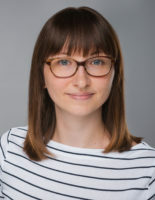 She is writing her dissertation within the program “Ancient Languages and Texts” (ALT) investigating the role of the sea in the representation and legitimation of Sextus Pompeius and the impact this had on the representation and legitimation of Octavian/Augustus. Thus, the project contributes to the research being done by the Topoi research project (B-1-1) Water Spaces , investigating the emergence of an imperial perspective on the sea during the period of transition from the Republic to the Principate. The thesis entitled “Maritime Revolution? Sextus Pompeius and the genesis of the Principate” is being supervised by Christian Wendt.